After 20 years growing up in Colorado Brenden Anders moved to Alaska on a whim to work seasonally as a bike washer for a small motorcycle rental and tour company called Alaska Rider Tours. One thing led to another and ten years later the company and his role within have changed substantially. He now fulfills the role of General Manager for the rebranded and expanded company called MotoQuest. 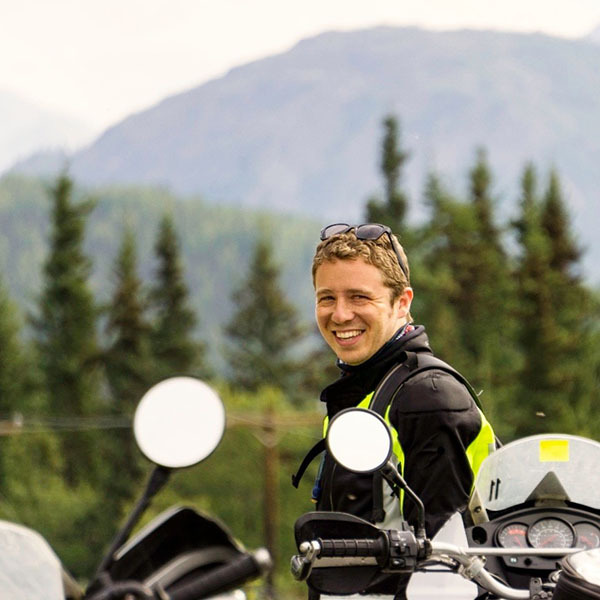 In addition to overseeing operations Brenden ventures into the field four to five times a year to take part in the leadership of various motorcycle tours around the world. Worst Motorcycle Experience: Surprise snow in Fort Nelson, BC. Looking back on it is not so bad though.